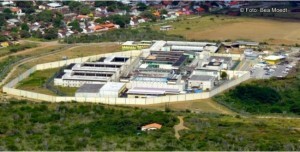 WILLEMSTAD - Tensions in the SDKK prison. In a short film, prisoners demand a meeting with the Minister of Justice about food, the lack of medication and the lack of timely medical care. On Monday, the guards had to use tear gas to get the protesting detainees back into the cell again. There has been no word yet from the Minister about whether he will meet the prisoners or not.